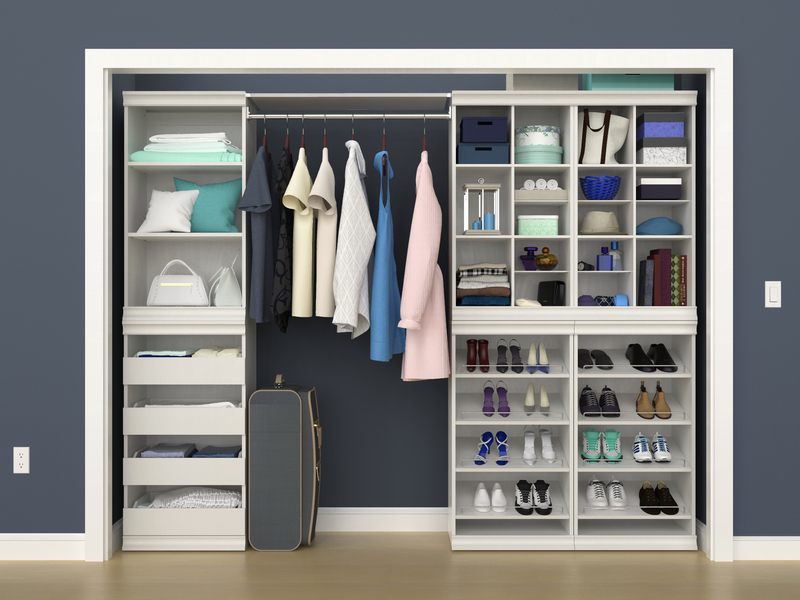 Closets come in all different sizes, shapes and styles. However, to stay clutter-free and harmonious, there are a few features that every closet needs. We’ve put together the five elements that every perfectly organized closet should have. A single hang rod in the closet limits your storage space. 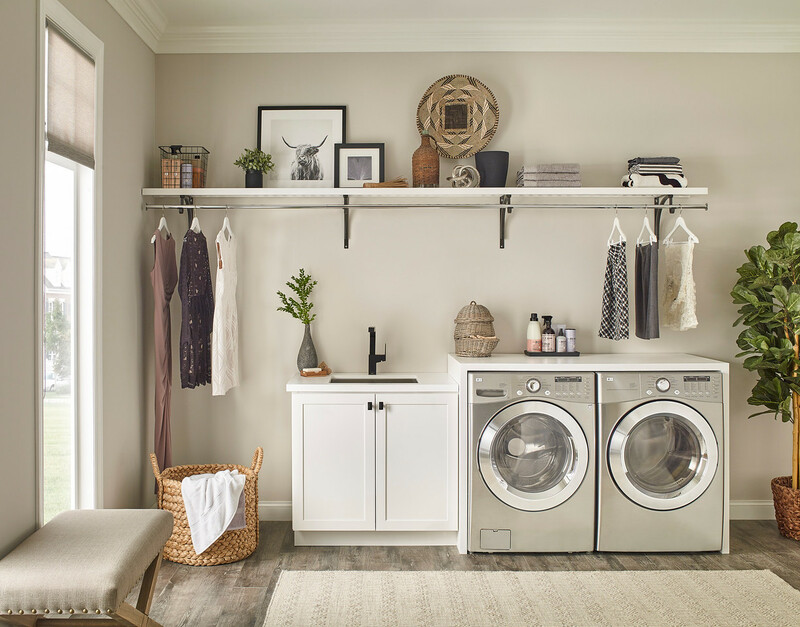 By adding double hang space, you can fit so much more in your closet and organize your collection in categories, such as specific locations for hanging shirts, pants, outerwear, etc. 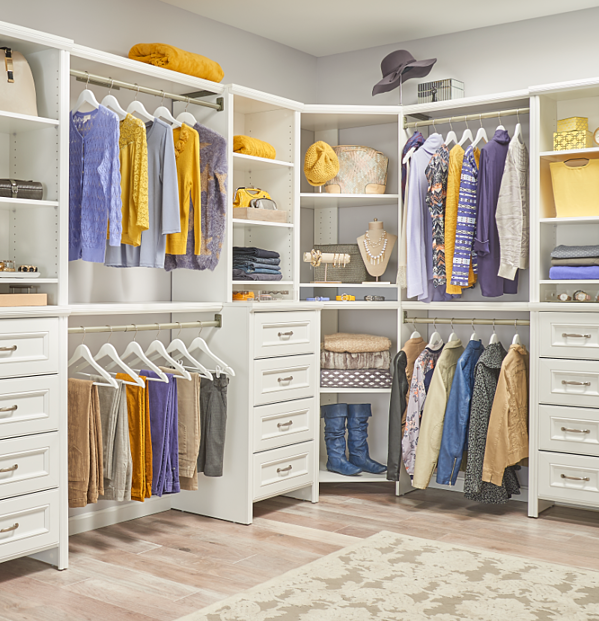 Don’t forget about adding hidden storage to your closet system. 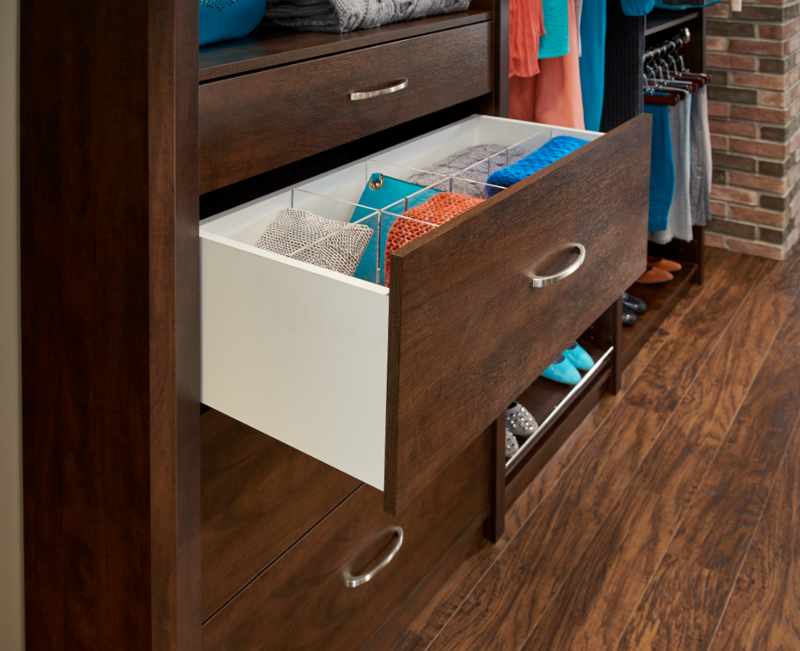 Drawers keep items like scarves, hats, purses and sweaters organized and neatly tucked away. Go further with your drawer organization with SpaceCreations acrylic drawer dividers. There’s nothing more frustrating than walking into your closet and seeing a pile of messy shoes on the floor. 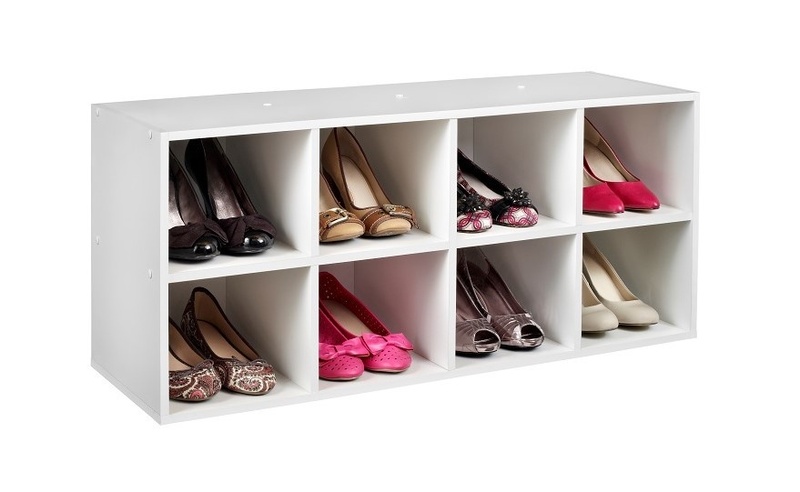 To avoid shoe clutter and disorganization, add some shoe shelves or organizers to your closet. A tie and belt rack is a necessity for storing accessories. Use it multiple ways by hanging jewelry, belts, scarves, bow ties, and more! 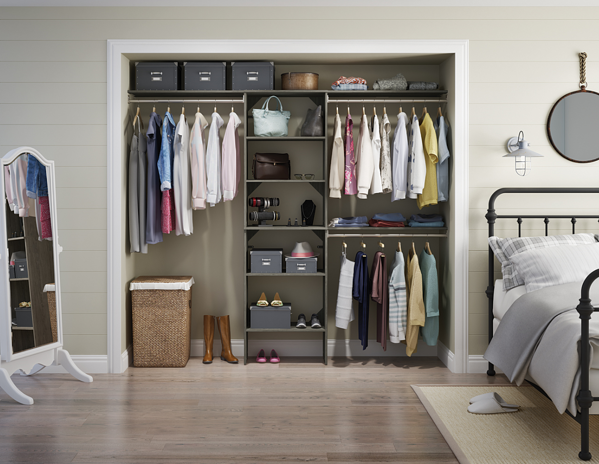 If you’re in need of a closet update, consider incorporating some of the ideas above to your space. With these elements added to your closet, you’ll be feeling organized in no time. 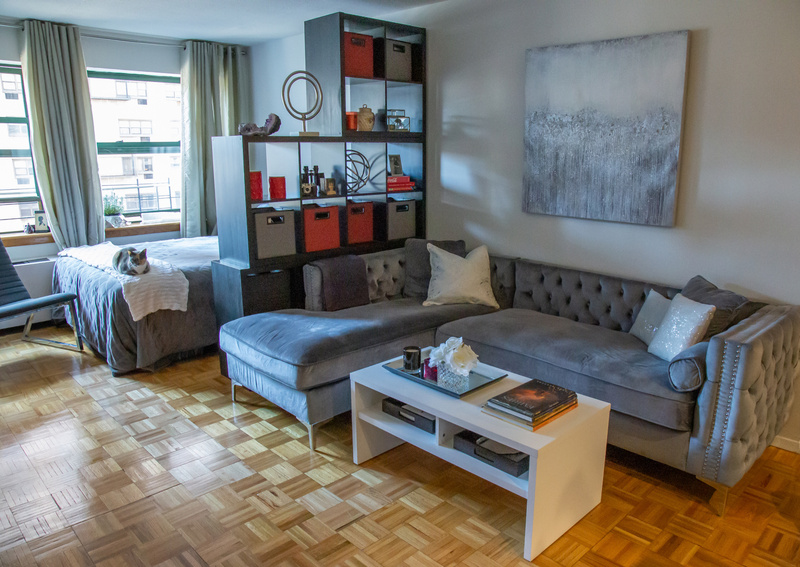 For more storage and lifestyle tips, visit ClosetMaid.com, and check out all of our other channels: Facebook, Twitter, Instagram, Pinterest, YouTube, Houzz and Flickr. 0 Comments on "5 Elements of a Perfectly Organized Closet"